When you think of Downtown Sunnyvale apartments, what comes to mind? What does upscale living look like to you? Is it spacious floor plans designed with modern lifestyles in mind? 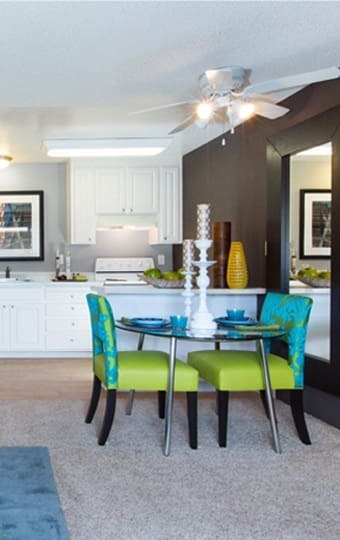 At The Landmark Apartment Homes in Sunnyvale, CA, our elegant apartment homes feature inviting spaces that gracefully transition from one room to another, so your evening will flow from dinner to a movie on the couch with ease. And, all of our homes are filled with stylish details that will complement, not compete with, your furniture.